Last Monday, David Daniel‍ made an unofficial visit to the Clemson campus with his parents and sisters. This past weekend, Daniel was back on campus for the spring game. The 2021 safety from Woodstock High (GA) doesn't have a Clemson offer but has 19 including recent offers from FSU, Tennessee, Georgia, Georgia Tech, Alabama and Notre Dame all coming after January. 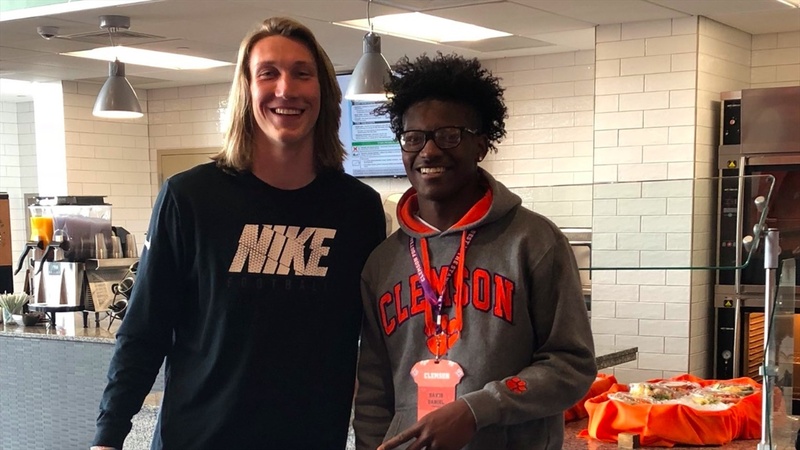 Even with the flurry of offers and his stock on the rise, the 6-foot-2, 180-pound playmaking safety took time to see Clemson sandwiched between a Mar.